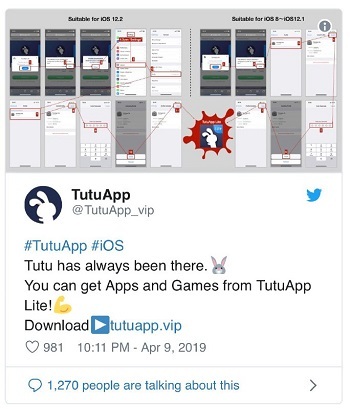 Illicit software distributors like TweakBox, AppValley, TutuApp, Ignition and others similar applications are popular for circulating ad-free and pirated or tweaked versions of apps and games to iOS devices. 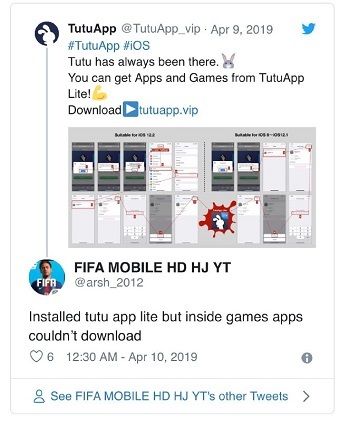 These third-party stores are basically free app stores for non-jailbroken iOS that can be sideloaded onto Apple device and allows users to install or download apps safely. 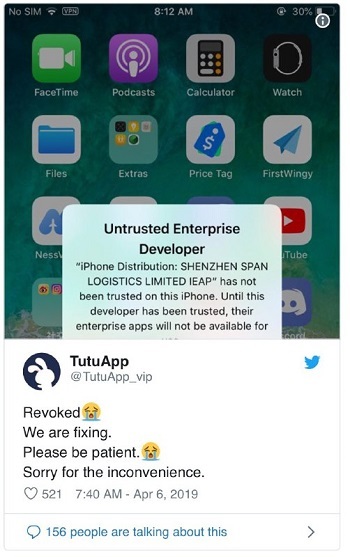 As for how do these distributors provide the ability to install hacked apps without jailbreaking, simply put, just by misusing Apple’s enterprise certificates. But as soon as Apple (or the concerned app developer) finds out the app certificates are being abused, they revoke them immediately. Subsequently, users are not longer able to use these third-party mobile app installers for downloading purpose. Not only that, even the already installed apps that were downloaded through these installers end up crashing. 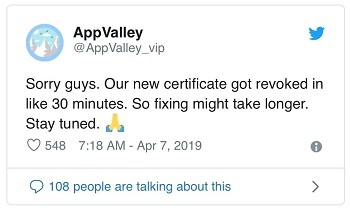 Though Apple revokes app certification quite often, most of the times software distributors manage to bring things back on track by exploiting the design flaw of the certification program (**clever hacking). 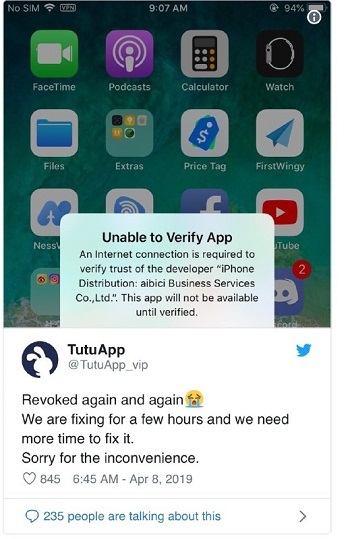 Something like this has been going on for past few days wherein the immensely popular apps like TweakBox, TutuApp, AppValley and Ignition got revoked. 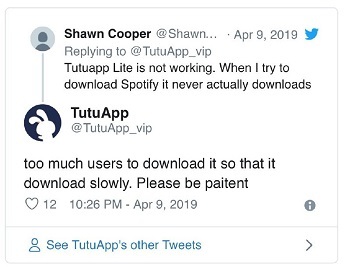 Instantaneously, the affected app users started complaining across social media platforms about not being able to install apps like Spotify++. PiunikaWeb was the first website to catch hold of the issue and bring the matter to light. 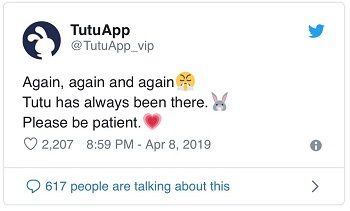 Not only that, since the matter got heated up we’ve been actively tracking and updating all related developments that have been shared by the concerned app teams. 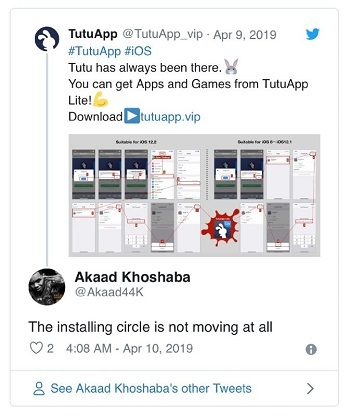 To put it in a condensed manner, while TweakBox, TutuApp, AppValley and Ignition have been continuously trying for past couple of days to dodge the roadblock and renew the certificates, they are consecutively being revoked every time. 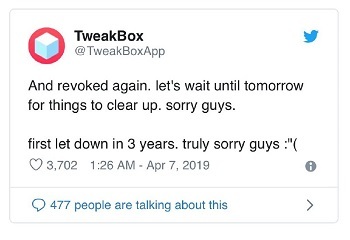 Take a look at how many times TweakBox has been revoked is the past few days. 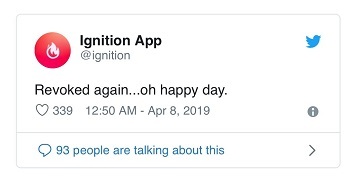 As well as Ignition app. 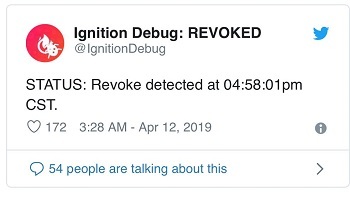 It’s been about four days since the revoke first struck. 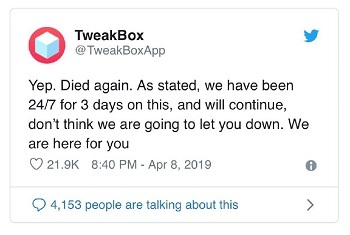 But all this time, TweakBox, TutuApp, AppValley and Ignition have been making all possible efforts to make users stick to them during this tough time. It’s worth appreciating that despite being revoked back to back, the teams behind the concerned apps don’t seem to be giving up at all. In fact, they are buckling down to fix this one up. 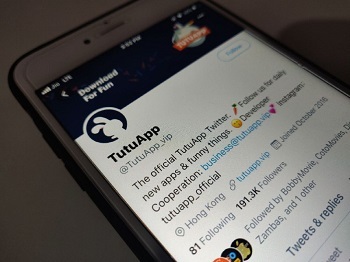 As for the latest development on the matter, interestingly, TutuApp is now suggesting users to install TutuApp Lite. Furthermore, they also updated that the slow download glitch is gradually optimizing. 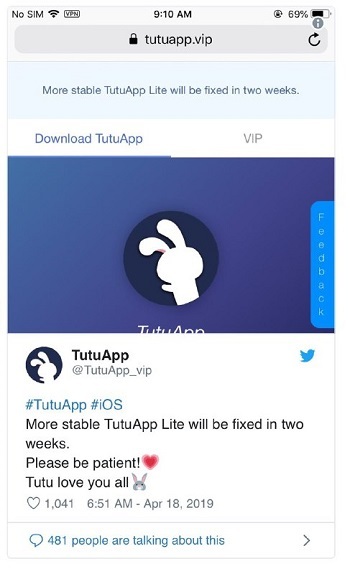 So apparently, TutuApp is trying to divert users to TutuApp Lite now. What about the revoke issue? Aren’t they trying to fix it anymore? Well, all is up in the air. As far as we can see, they haven’t said anything new lately. 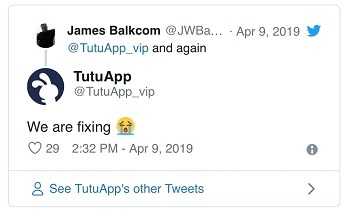 Coming to TweakBox, just as rumors started to fly, they re-assured users that they ain’t going anywhere. In addition, they also suggested people to enable notifications in order to get the timely updates regarding the matter in question. 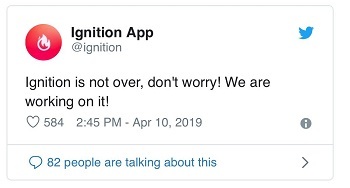 Just like TweakBox, Ignition app also assured users that they are still working on resolving the glitch. 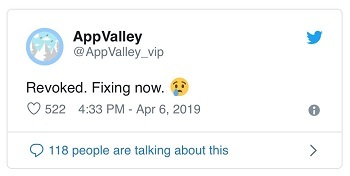 On the other hand, AppValley hasn’t said anything new other than repeating that they’ll fix it. To sum it up, as far as we can see, the revoke issue is yet to be completely resolved. 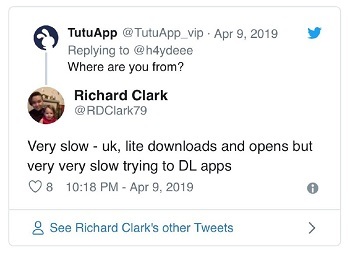 But at least Tutu app has offered Tutu app Lite as a workaround. 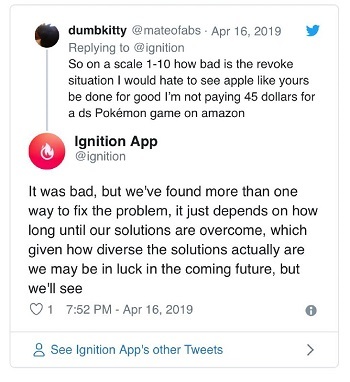 Here’s hoping TweakBox, Ignition app and AppValley also get things fixed soon so that users can enjoy the services again. Rest, like always, we are keeping an active tab on all related developments and will update the story as and when anything new comes to our notice. Aaand the story continues. 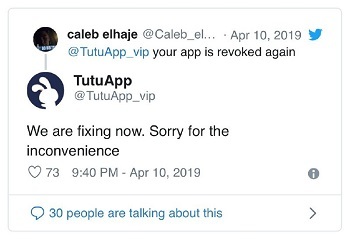 TutuApp has been revoked once again. 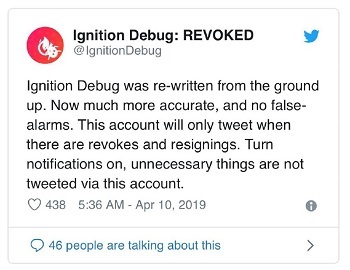 Bad news for Ignition app users, they’ve been revoked once again. 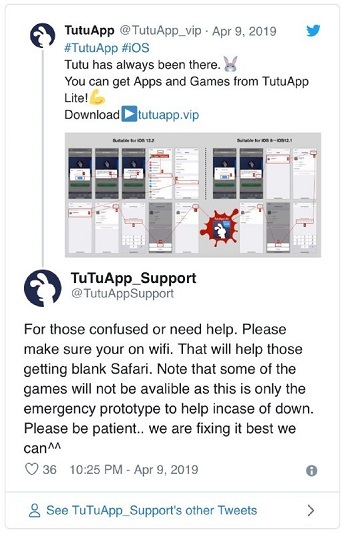 And like earlier that’re asking users not to panic. What has now come to our notice is that the revoke incidence struck CotoMovies app on iOS too. Head here for complete story. 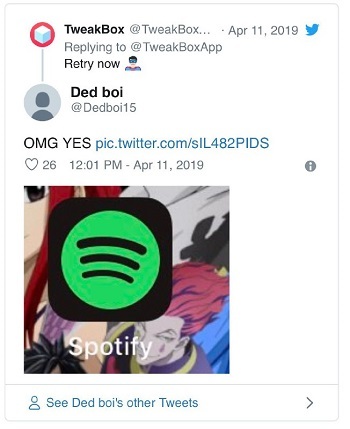 Looks like TweakBox got revoked again as users say Spotify++ is not workings anymore. It’s revoked again. Just few minutes ago it was working perfectly fine. We have found the solution to fix! 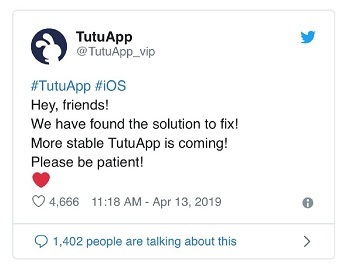 More stable TutuApp is coming! 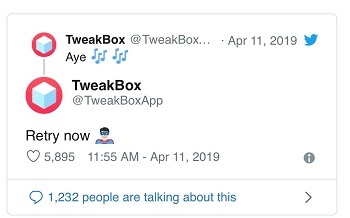 TweakBox is now informing users that the app on iOS 12.2 is buggy and users should wait until Apple fixes the PWA glitch causing the issue. 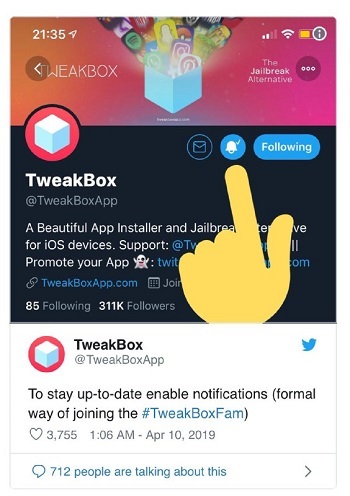 TweakBox on iOS 12.2 is buggy. 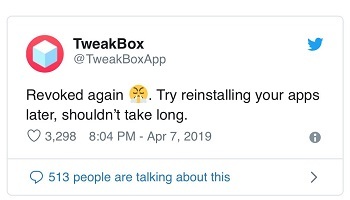 We recommend waiting until apple fixes issues with PWA (how tweakbox is built) as apple is making it better and better but tripping along its way. 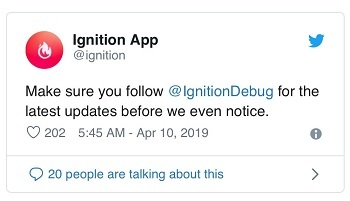 Ignition app says they’ve found a solution to the problem. 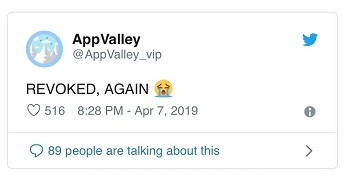 Incoming is an update from AppValley team. They have found a way to fix things up. We believe we found a stable way to provide you your favorite apps still for free. But it might require a little work on your end to get it. Does that sound good? 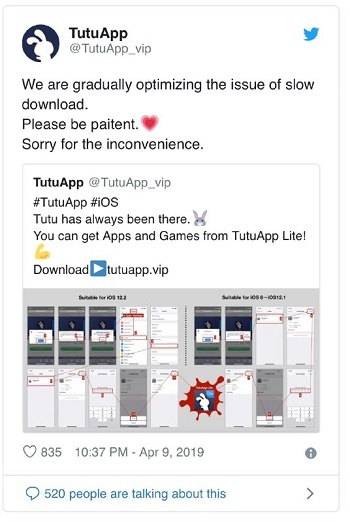 The app team has now informed users that the TutuApp alternative TutuApp Lite will get fixed in a time of about two weeks. 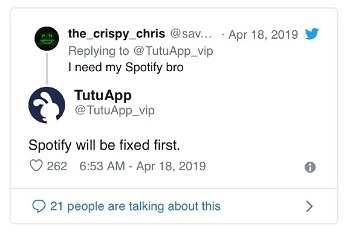 They also added that Spotify will be first app to receive the fix.